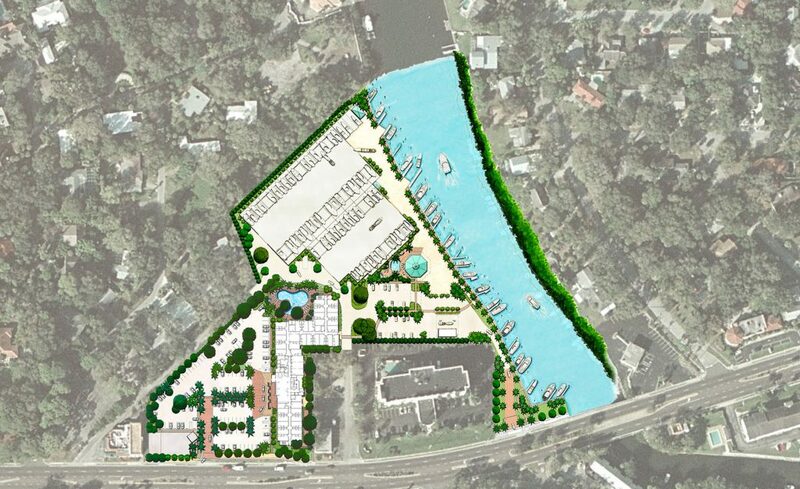 8.5-acre mixed use project with 135-key hotel, full service yacht club with over 300 yacht condominiums, clubhouse and fueling station. The project is located at the Whitaker Bayou in the heart of Sarasota Bay and near Lido and Longboat Keys. Provided master planning through Site Plan approval including planting, hardscape and lighting design for both the yacht club and hotel components of this project. The design included project entries, hotel amenities, marina promenade, and yacht clubhouse site with a resort-style pool, spa and fountains. The hotel amenities feature a courtyard with beach-entry pool, spa, and lush tropical garden.